Over the long weekend I received some items I ordered from Amazon.com. 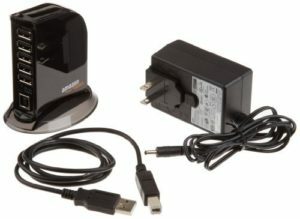 I received an AmazonBasics 7 Port USB 2.0 Hub which I have not opened yet. Will open the box and connect it to my Raspberry Pi next weekend. On a separate package I should also have received a SD card with the Raspberry OS. It must be with the mail that my neighbor collected while we were out of town. My wife will check with them later today. 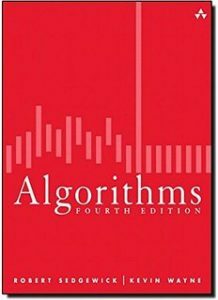 The other item was a copy of Algorithms Fourth Edition by Robert Sedgewick and Kevin Wayne. A few post back I mentioned a statement that I found quite interesting and challenging. “50 algorithms that every programmer should know and its Java Source”. I want to make sure that I know and are proficient at least on those 50 algorithms. The other part that I found interesting is that the source code is available at the following URL: http://algs4.cs.princeton.edu/code/. I have several books on the same topic but none uses the Java language. In the past few years I have become quite interested in it. Enough said. Now that I believe I have all the required components, will spend a few hours next weekend putting together my Raspberry Pi. This weekend will write a new blog entry with my additional comments on the Dummies book and my initial experience with the actual Pi unit. Regarding the algorithms book, I am planning or reading and experimenting with one algorithm a day (7 days a week) until I finish reading it. I will post comments on this blog as I make progress with the book. I am very excited to see which algorithms I have missed and brush up on old friends. It is a fact of life that in most jobs you do not have a chance to be so broad. Most people focus on certain aspects of computer science. One last thing, last week I was chatting with a colleague. He mentioned a couple interesting web site to polish and learn algorithms similar to HackerRank. These are: LeetCode (https://leetcode.com/) and Topcoder (https://www.topcoder.com/). I am sure I will comment often on them.